"Saturday Night Live" has added three new comedians to its 42nd season. Including its first Latina cast member, Melissa Villaseñor. Villaseñor is an impressionist from California who appeared on "America's Got Talent" in Season 6. She has worked for over 10 years as a stand-up comedian. Over the years, "SNL" has come under fire for its lack of diversity. 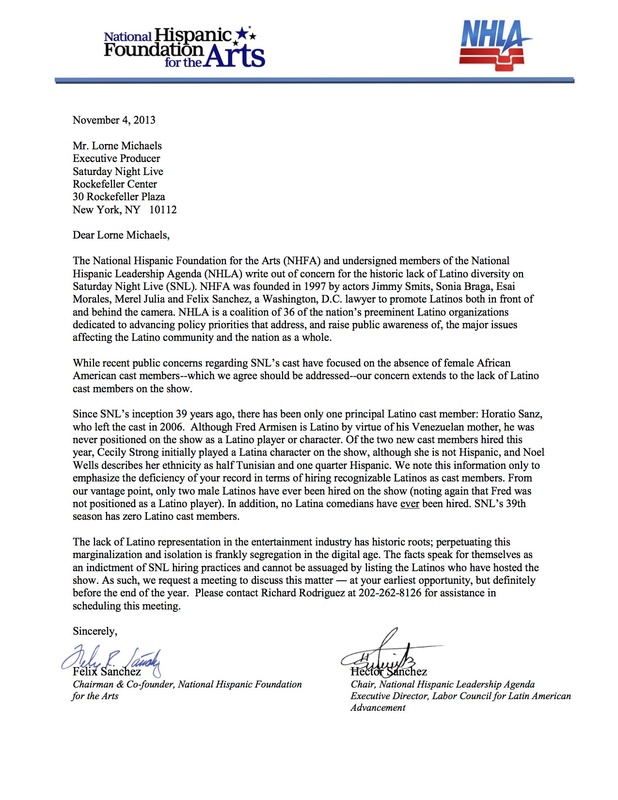 In 2013, the National Hispanic Foundation for the Arts wrote a letter to "SNL" creator Lorne Michaels. The letter highlighted that since the show debuted, there have only been two male Latino cast members and never a female Latina one. But "SNL" isn't the only show like this. A study found that of the 11,000 speaking characters in film and TV, only 5.8% were Hispanic. The first episode of season 42 will air on October 1st -- right in time for Hispanic Heritage Month.